Jessica Peterson Dempsey ('96, JD '99) and Melanie Sheffield Haley ('00) never crossed paths at Wake. Then a twist of fate brought them together — forever. 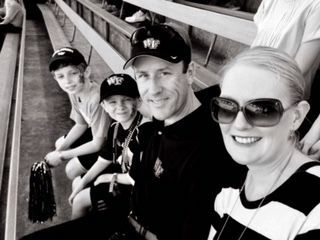 When Jessica Peterson Dempsey (’96, JD ’99) was a Wake Forest law student, Melanie Sheffield Haley (’00) was an undergraduate. Despite being on the same small campus, and even though Melanie worked in the law school library while Jessica was a student there, their paths never crossed. How could they have imagined, then, that a few years down the road their lives would be forever intertwined? 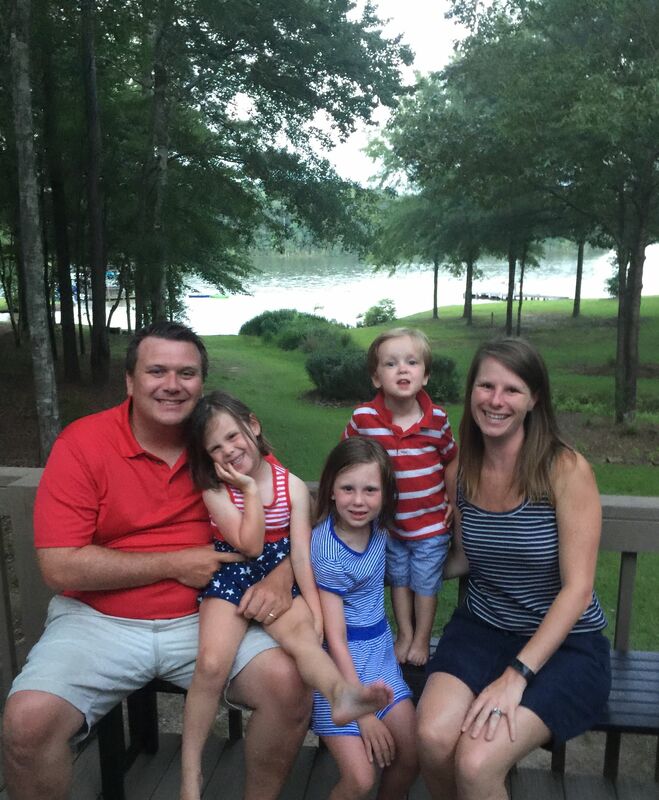 After graduation Jessica married Tyler Dempsey; they relocated to the Atlanta area, where both are attorneys. 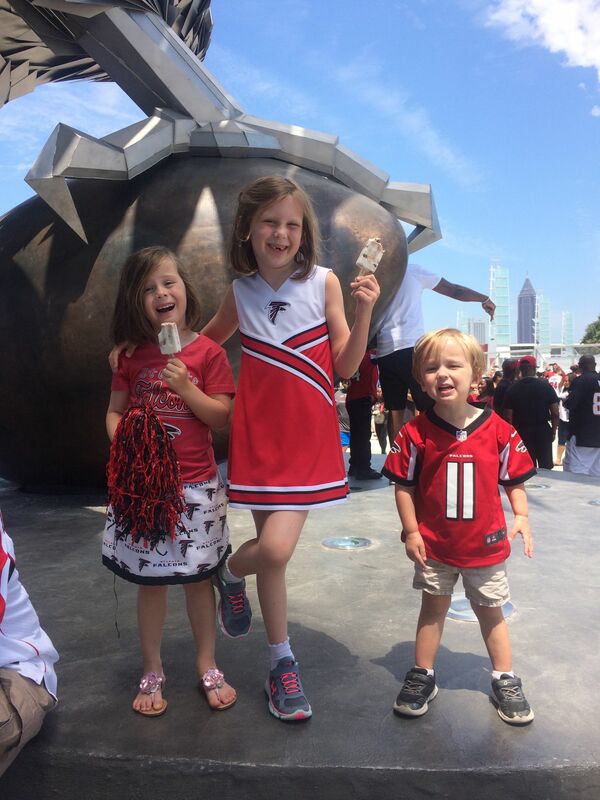 Melanie, a business major, married Rob Haley (’00, MSA ’01) and they also moved to Atlanta. Her career is in advertising, and he works for a real estate development firm. Rob and Melanie Haley with their children (left to right) Riley, Reagan and Jackson. 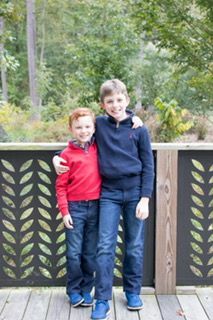 As time passed the Dempseys became adoptive parents to two sons: Trevor, 10, and Cooper, 7. The Haleys, who were already biological parents to daughters Reagan and Riley, were contemplating an addition to their family. Rob, who had been adopted, suggested they consider adoption. Jessica and Tyler Dempsey with their sons, Trevor (left) and Cooper. The Haleys worked with consultants through an “open adoption” process in which there was mutual sharing of information between the prospective adoptive family and birth family. Days after they presented an application, the birth mother chose them to raise her baby, who arrived just 10 days later. Melanie described the experience as a “storybook scenario” in which things happened so quickly she had not even told her parents all the details. 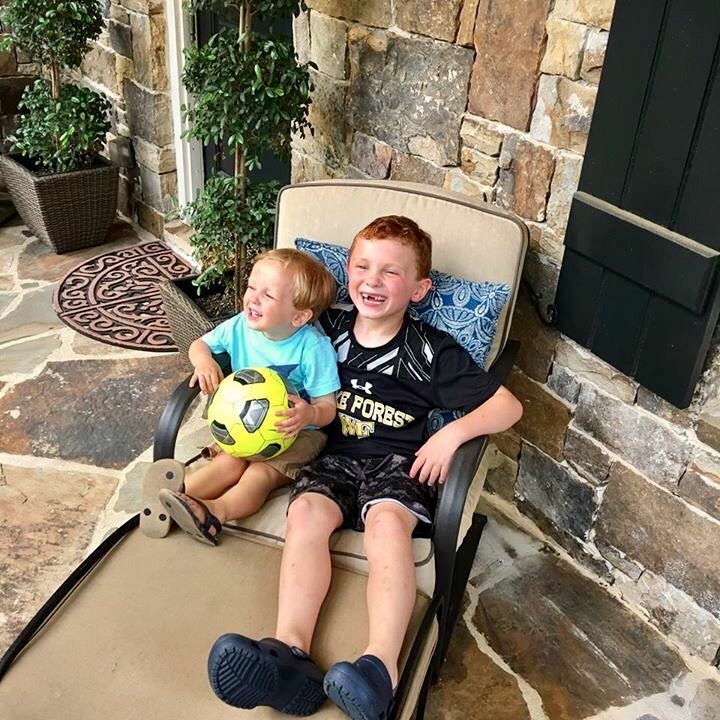 Jackson Haley (left) and Cooper Dempsey are biological half-brothers adopted years apart by different Wake Forest families living in the same city. That’s when they got yet another surprise. “They were friends with a lot of friends we knew in college,” she said. 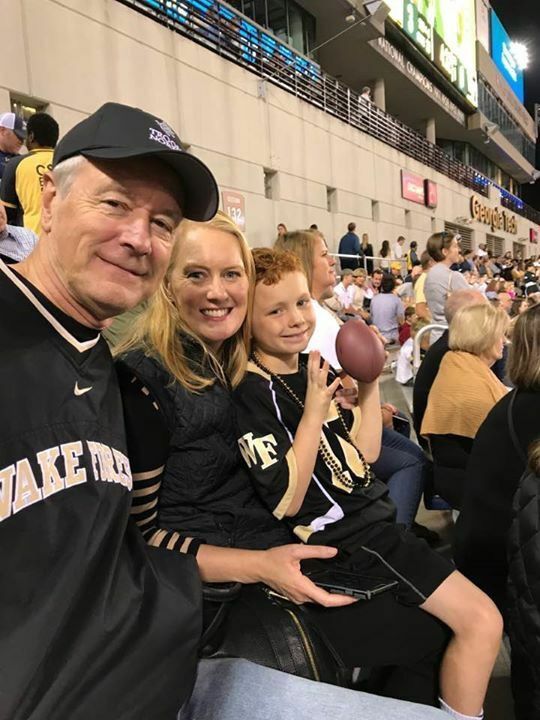 Not only was Jackson the biological half-brother of the Dempseys’ son Cooper, the two families shared another connection: Wake Forest. As it turned out, Jessica had been a little sister at Rob’s fraternity, but not at the same time he was there. “Melanie and I were like, ‘Can you believe it?’ We could have passed each other at the library or in the Pit and not even realized we would be parents to these beautiful little boys,” Jessica said. “You never know the role someone’s going to play in your life.” Two alumnae, whose paths had never crossed in Winston-Salem, bonded instantly as Deacon moms whose adoptive families lived just miles apart. When the Dempseys and the Haleys get together it’s always sweet, says Melanie Haley. Left to right are Cooper Dempsey holding Jackson Haley, Trevor Dempsey, Riley Haley and Reagan Haley. November is National Adoption Month. Jessica and Melanie believe it’s the perfect time to share the story of how they eventually met, under the most tender of circumstances. Future Deac? Cooper Dempsey (right) with his mom, Jessica Peterson Dempsey, and grandfather Robert A. Peterson (P ’96, ’99). For Jessica, the adoption process expanded her view of family and opened her heart, helping her see the world in different ways. 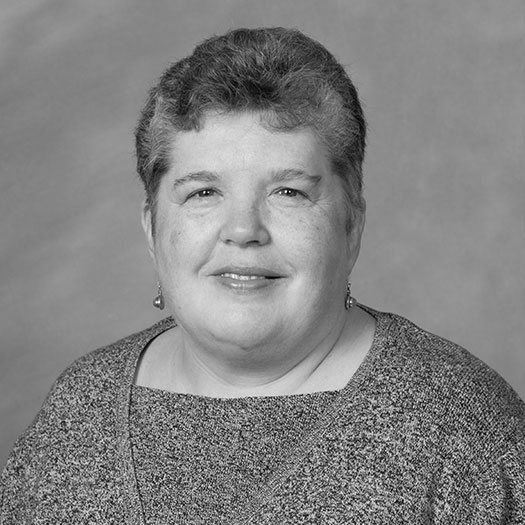 “You connect for the rest of your life — there’s an instant bond because you see the world through a different lens.” Of course, there is loss in the adoption process, she said, but everybody is making their decisions out of love, the best possible gift for all. While the Haleys and Dempseys live on opposite sides of Atlanta, they attend the same church and enjoy family gatherings. 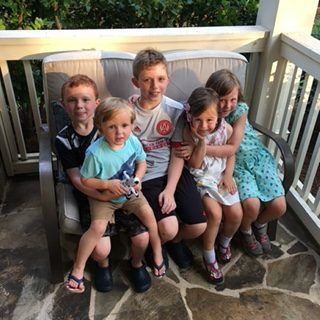 “When we get all five kids together it’s always sweet,” said Melanie, adding that Cooper and Jackson sense they have a special connection without fully understanding what it is.